Hello! I'm Professional Web Security Expert and have been doing WORDPRESS SECURITY and MALWARE research. I've More then 5 years+ Experience in my FIELD of Web Development. As a Web Developer I know the Best Ways To Recover Hacked WordPress Website and Securing WordPress . 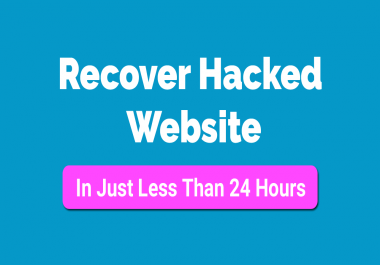 I can Surely Do RECOVER HACKED WORDPRESS #Website in an Efficient way. There is no issue What Type of Malware you have I can Clean Malware of any type like base64, WordPress Redirection, WordPress Popup and Soon... Why my gig is different from others? check the features i will add to your website for lifetime security. Features: Firewall Block Countries Brute Force Protection (Many Password Attemps) Real-time Threat Scanning Malware Scanning Blacklist Remove Check if Site IP is generating spam Check if Site is Spamvertized Remote Scan Google Warning removal I'll not only Clean Malware from you Hacked WordPress Website I can Also Recover website from any hack. 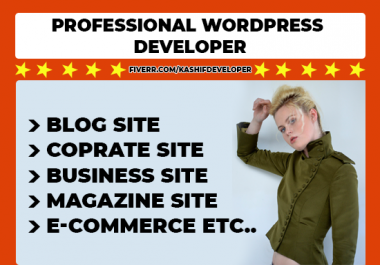 In this gig I'll create a PROFESSIONAL WordPress Website in 24 Hours.